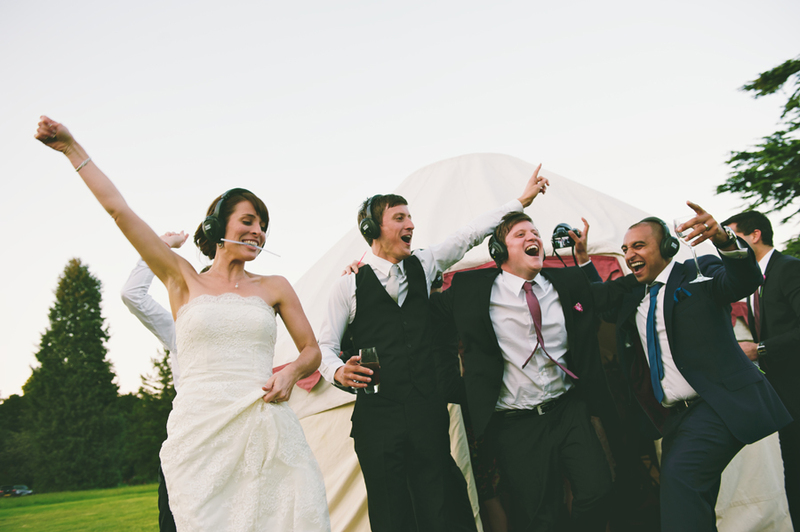 Make your special day one to remember by having a silent disco at your wedding reception! You can either switch the speakers over to the headphones to offer your family and friends something different for the end of the night, or go the whole hog and have a completely silent party. Worried about there not being enough variety in the music? Problem solved! With 3 channels to choose from you can be sure to satisfy every taste from younger sibling to Nan and Granddad! 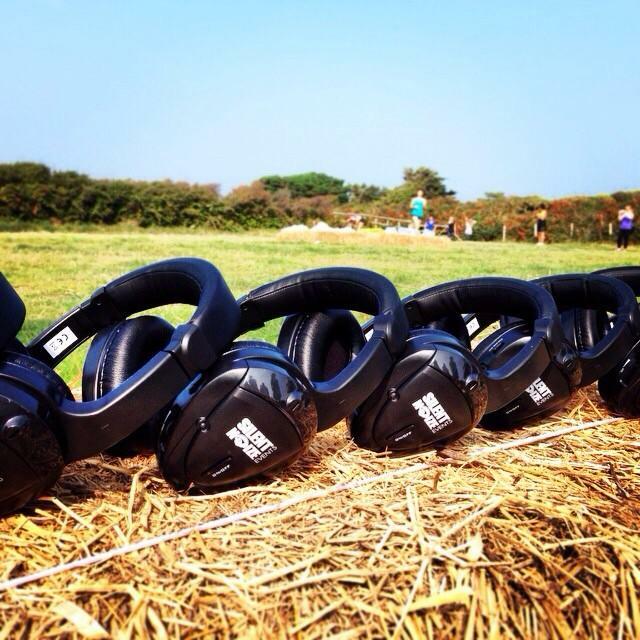 With silent Noize Silent discos you can carry on celebrations into the wee hours of the morning if you wish to. If you want a totally unique and original party however large or small Silent Noize will make it a night to remember. 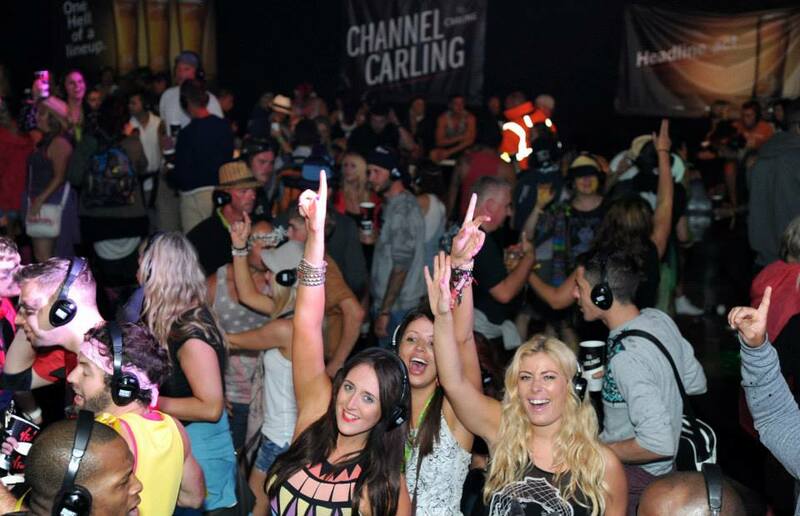 The biggest advantage of a silent disco is that it can take place virtually anywhere. There is no noise pollution as no actual music is being transmitted through speakers. Let Silent Noize take care of all of your wedding entertainment with our full weddings packages inc DJ, lighting, PA and even photo booth! Great kit. Great service. It was a massively popular end to our wedding. What can I say about Silent Noize – absolutely awesome and one of the best and most memorable parts of our wedding! We went for a ‘dry hire’ package and it was so easy to set up and run. The equipment was sent on time, communication from the team was great and they even collected the headphones afterwards. 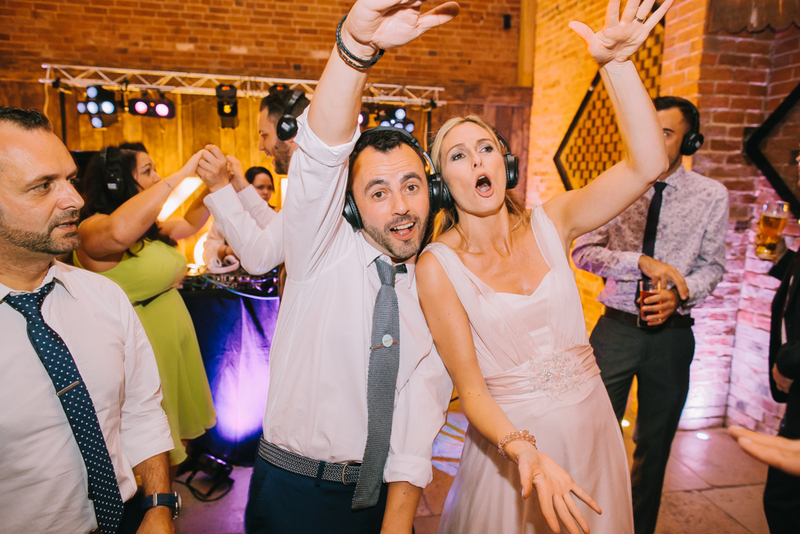 Weddings can be expensive, but this was worth every penny and we would recommend to anyone to do a silent disco as part of their wedding...just brilliant! Very efficient in the delivery, all the way to Barcelona. Helpful and responsive with all the preparation. The do, which happened to be our wedding, avoided our biggest fear of getting the police in to the venue. The guests had a blast, and the pictures look all really funny. Easy to set up, and amazing sound. We got compliments from every one in the party. Would definitely recommend it and use it again. Thanks to the boys at silent disco for helping make our wedding day the best day ever! We hired the silent disco for our wedding in Cambridge and it was the perfect way to end our day. We kept it as a surprise for our guests -some had heard about silent discos before and others had no clue. But all of them loved it, young and old. Service from Silent Noize was top class and I'd certainly book again. Thank you! Everything was smooth from start to finish-friendly and quick communication, headphones delivered as required and competitive pricing. Everyone at the wedding disco was blown away! Used Silent Noize for our recent wedding. Fantastic company to deal with and the equipment was very simple to use and of high quality. We used MP3 players as the inputs and made 2 separate playlists. I think it works just as well as having a DJ but is obviously much cheaper. The dance floor was full throughout the night with the added benefit of it being quiet for the ones that wanted to chat. Feedback we've had was it was the best wedding disco ever! I would thoroughly recommend using Silent Noize and I'm sure I will again in the future. Cheers guys. 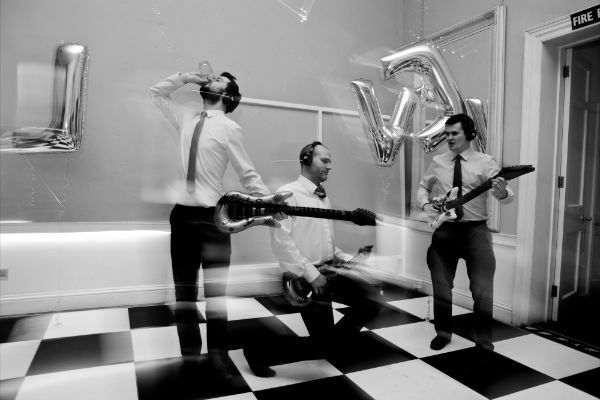 We used Silent Noize for our wedding party near Brighton hiring a DJ for the first hour and normal PA and then a couple of hours for a three channel silent disco which they controlled with our CDs/MP3 players. The Silent Disco worked a treat, music quality was brilliant through the headphones. They set it all up perfectly with minimal supervision and also gave us a portable PA for our speeches which was in another location. Duncan is very friendly and co-operative, I would without hesitation recommend them to anyone thinking of putting on a silent disco. Thanks you to Silent Noize for making our wedding reception all the more memorable! 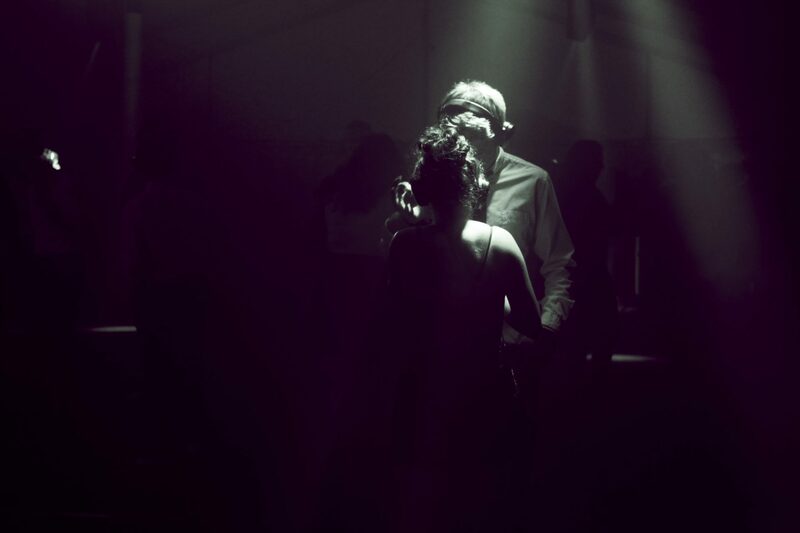 The idea of a silent disco was perfect for us as on our special day we wanted to hear all of the music we both loved and bonded over, but didn't want to exclude everyone who didn't know it, so the extra channel came in very handy. Plus, we love the fact that people can still chat without shouting in the evening! It all went off without a hitch and it was very straight forward to set up. Duncan was flexible enough to pick up the kit from the venue as well, so we didn't have to worry about getting it back to him when we went on honeymoon! All in all, a top night, and would definitely use you guys again - thanks! Just a quick message to say thanks for making our wedding reception go with a (silent) bang! Our guests loved it - it was ideal for the many guests who wanted to dance as well as the ones who wanted to chat. Definitely one of the most talked about aspects of the whole day. Thanks! Brilliant! This really suited our wedding because my now husband likes 80's music and I really don't. Also because we're welsh I really wanted welsh music in the wedding. Having three channels meant we could have a channel for 80s and before, a channel for 90's+ music and a channel for Welsh music. It was a massive massive hit with EVERYONE dancing all night, and singing and enjoying themselves. Made our wedding spectacular, truly thank you!! 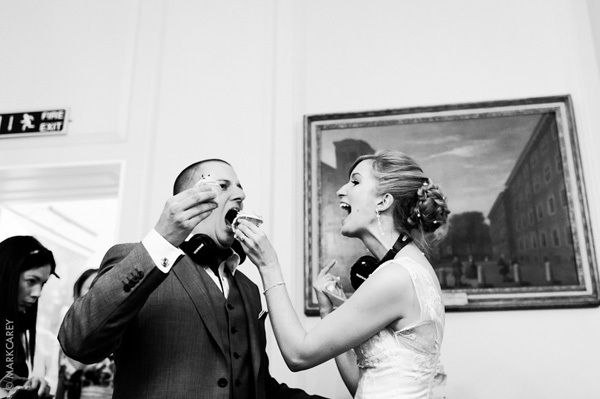 We had our wedding on the 2nd March at Norwood Hall, just outside Southwell in Nottinghamshire... we had decided to have a silent disco as well as a band on the night time at the reception... and it turned out to be the best thing ever! The guys from Silent Noize were brilliant with answering questions and set up on time as we asked them. The equipment was great, and the added bonus of the lights made the disco! (along with the black and white checked dance floor!) The 3 channels were superb... one for the best man, one for the bride and one for the groom! All in all the best thing we did... and we were the last ones standing at 1am getting told to turn it off my the venue staff! AMAZING. Thanks to all (inc Duncan) at silent noize for an awesome evening! 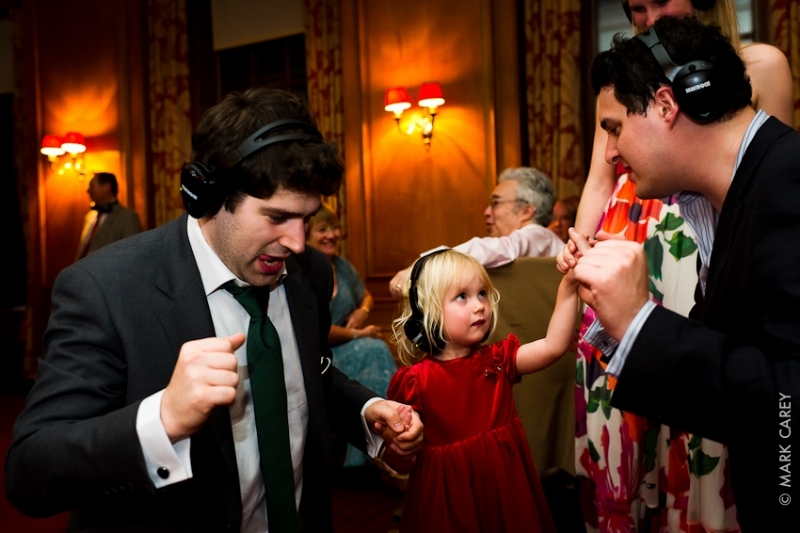 It was a great idea to have a Silent Disco at our wedding, we were a little nervous that people would need coercing to try it so we had music through the speakers for a couple of hours to get people into the mood before switching to the headsets. Our worries were completely unfounded as we had all 100 headsets in use and people dancing. Having 3 choices of music helped make sure that everyone had something to listen to and the people who just wanted to catch up and have a chat could do that as well. We even had young children able to go to sleep so their parents could keep dancing. Even 2 months later people still say what a great idea it was and they've even told their friends who are now interested in doing it themselves The guys who came down to set up and also DJ on one of the channels did a great job as well and played some great Drum and Bass and Dubstep for us. The team turned up on time, with all the songs I requested for the wedding and more, all prepared, and it was just absolutely brilliant, really got the wedding going. At first I was really worried that people aren't gonna get up and dance, but once the headphones out, everyone joined in and had a great laugh! Will highly recommend Silent Noize team and now I'm looking for another reason to do it again! 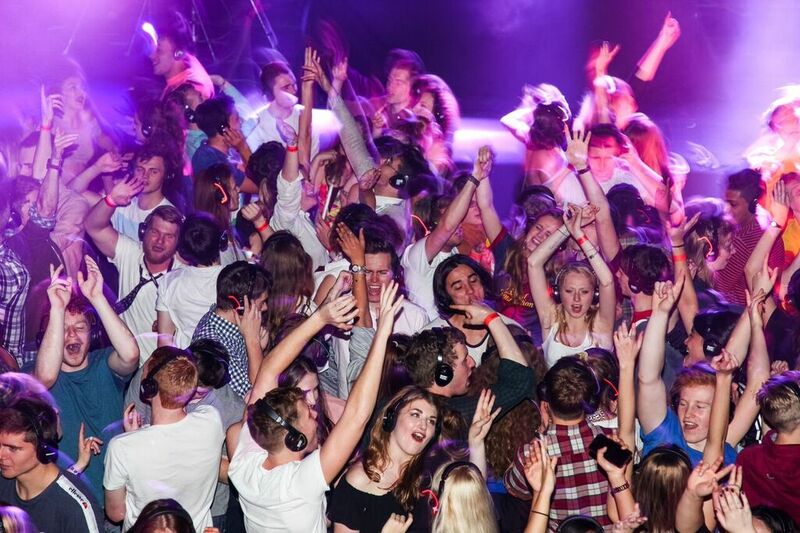 Looking to book a silent disco for your party or university? You’ve come to the right place! Silent Noize Events specialise in all inclusive 2 or 3 DJ shows which are perfect for any University party or ball. Sit back and let us take care of everything for you or simply dry hire the kit from us and let your DJs take the stage. If you’re looking for a totally unique and fun filled way to entertain your guests AND keep your neighbours happy then a silent disco is the way forward. We’ll have the kit sent out to you and all you need to do is plug in your laptops, iPods etc and away you go. Great party - guests were amazed at the silent disco - old and young. No complaints from the neighbours!! 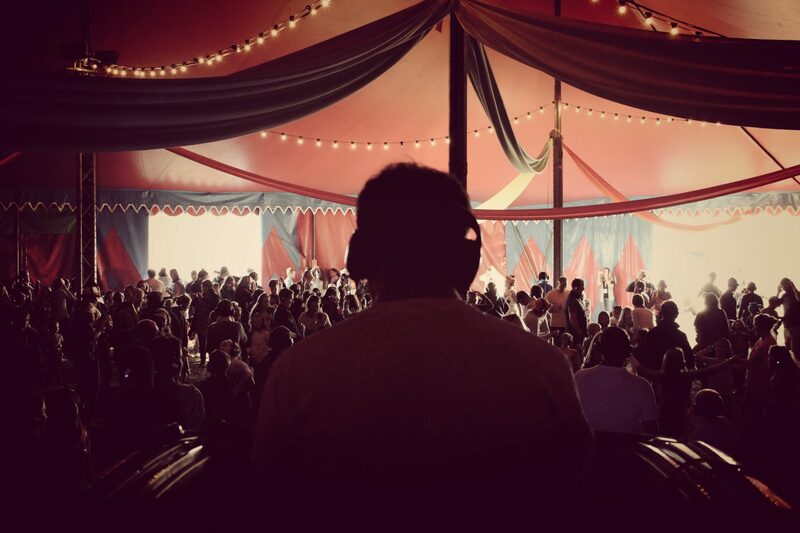 We hired the headphones for an 18th party in a marquee in our garden. It was something really different, everyone loved them - dancing to different music and then calling out to "Go blue! Go blue" when a great track came on. It also made me feel better about disturbing the neighbours! Silentnoize are really friendly and easy to deal with. I'd be happy to recommend them and in fact I already have! Just thought I would drop a line to say thanks for your perfect service and communication. Our party was very successful and your excellent equipment made for a hilarious and entertaining evening. The kit was easy to set up and worked faultlessly, I would definitely have a silent disco again and the cost was very good value. Thank you and your crew for making it a success too and for you calm and professional approach! The silent disco went down really well and we've already had several messages saying how much they enjoyed that aspect of the party. Andrew also enjoyed the whole party, as we did, so it was all worthwhile. Thanks for making this so easy. It was such a great night. It was my 40th birthday party and we had the silent disco after a bit of live music. We had been to one at Glastonbury and thought it would be a good idea.... and it was! All 50 headsets were in use ALL night. It wouldn't surprise me if you get some more parties from this neck of the woods. Thanks for an excellent service and at short notice too. Everything was really efficiently organised and Duncan was very helpful. A silent disco was a great idea for a 13 year old's birthday party. Highly recommended. 21st birthday private party at our home for all the family and friends. Neighbours had nothing to complain about but the guests had a ball! 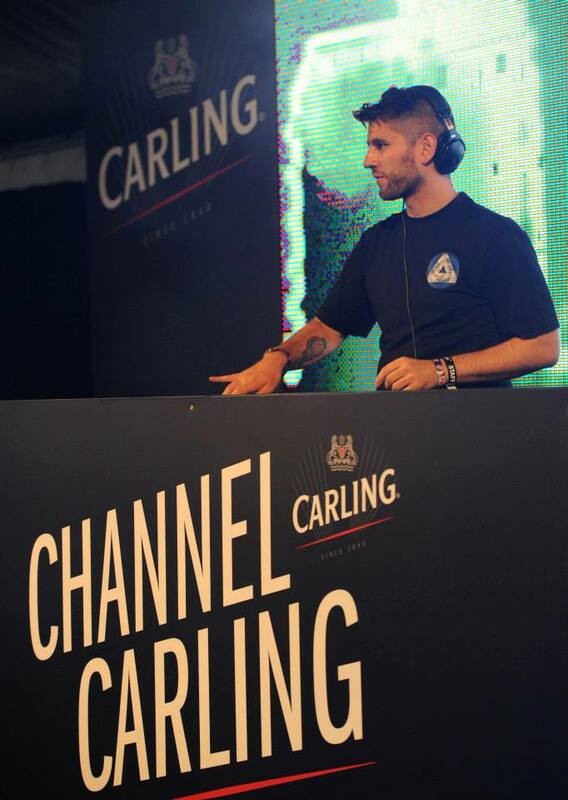 We only hired the head sets as we DJ'd ourselves, with two channels. Everyone who was sceptical prior to coming were so impressed with the fun element of a quiet party for the oldies and a lively atmosphere for those wanting loud noise. The majority carried their headsets around their necks like trophies all evening. Highly recommended. It was my brother’s 21st birthday party and we bought 25 headsets for the night. It was a great idea as the party was being held in a residential area and there was no noise apart from the fun and laughter. It was a massive success and everybody was dancing right through the night. We had 2 channels and it was truly a night to remember. Highly recommended. 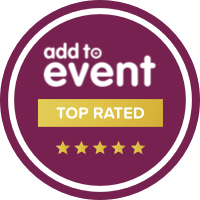 I have to say I was so pleased with the service and the party was absolutely fantastic. Needless to say the 50 teenagers who partied the night away in my garden without bothering a single soul all commented how it made their night. Fantastic sound quality, much better than you would imagine and so funny to watch. Would definitely recommend and use again. Thanks for making my sons 16th a night to remember. I wanted to hire 50 sets for my 30th birthday party, I contacted Duncan and he responded quickly. From that first communication I felt I was dealing with a human being and not a faceless corporation which gave me confidence in taking a bit of a punt on something different. The customer service was faultless throughout, the value for money was excellent, the equipment all worked perfectly and was simple to set up and use. And most importantly EVERYONE LOVED IT...even my 75 year old Grandad was rocking out! I will definitely use Silent Noize again and have already recommended it to all my friends. Thanks Duncan! Thanks so much Duncan for providing 50 headsets for my house party last week - it went down better than I could ever imagine and the service from you guys was unbelievable. So easy for delivery and collection and no problems at all with set up. it was crystal clear on every headset, in every room. I'd recommend you guys every time and am waiting for the next excuse to have another one. Cheers! We chose to use Silent Noize for my sons 21st birthday and were so impressed with all aspects of the service. My son said the headsets were much better than previous ones he had used at another event by a different supplier, I can highly recommend them! Had an amazing night thanks to silent noize! Best after party I’ve been to in a long long time. Thanks guys! Brilliant service from Silent Noize – delivered in time for us to work out how to set it up, lots of help and advice, all the headphones worked perfectly, there were loads of spare batteries, collected at a convenient time for us, all worked really well. And totally hilarious party in my local. Thanks guys. Held a silent disco last night. None of the birthday party had been to one. But we partied the night away. Its a must do. Quick secure delivery and collection. Constant communication with vendor. Thank you so for making my 21st a memorable one! Everyone really enjoyed the silent disco (it’s all they keep talking about) and I will 100% be using you again in the near future. Thank you! We can’t thank Silent Noize enough. Not only did we have the best Silent Disco at our kids’ primary school (out in the woods/letting loose on the playing field), they’ve been kind enough to extend our hire for FREE so we can run a show of outdoor solos without horrid PA issues for the kids and audience. If anyone is ever thinking of a Silent Disco for kids at school, do it! It reached even the most shy/shut down/PE hating children. All the teachers were raving about it. Thank you Duncan, we’ll be back. Great and reliable service .. Would fully recommend! Love the experience of The Silent Noize Disco. Fab addition to any party. Better still, first time we had the 2-channel system (which we were really pleased with), but this Halloween we had 3-channel version and that added flow made it that much more enjoyable and varied. Brilliant Halloween House Party! This is the second time I have hired a ‘dry hire’ set up for parties at my home. 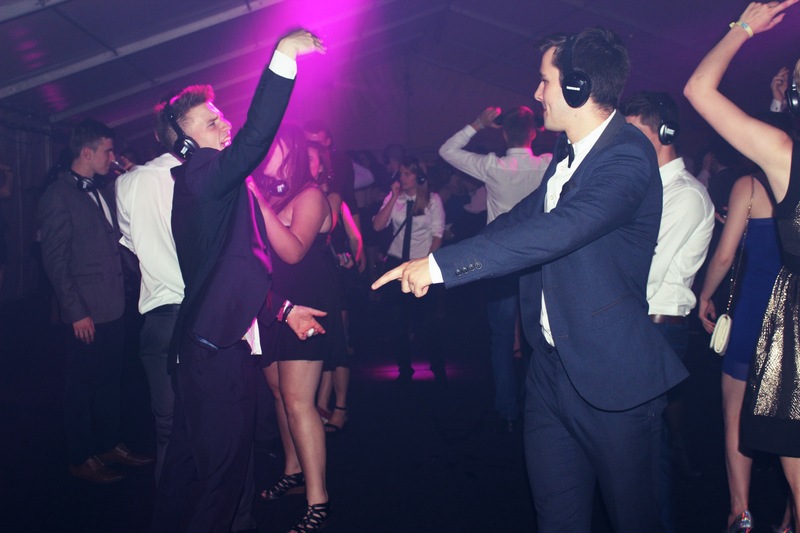 The Silent Disco never fails to impress your guests and has the added bonus of not upsetting your neighbours! The service and communication are second to none and they show great flexibility in terms of delivery and collection in order to suit your needs! Can’t wait for our next event with you! Highly Recommended! A huge thank you to the Silent Noize team who helped make our event a huge success! The DJs really got the crowd going with some great music and Lisa was wonderful in helping with the headsets. Great, friendly and flexible service. Will definitely be using again in the future. Used Silent Noize for our NYE party. Fantastic service, friendly, helpful. Our guests aged 16 to 70 said it was the best NYE they’d ever been to. Wouldn’t hesitate to recommend or use again. My favourite people to work with in Birmingham. 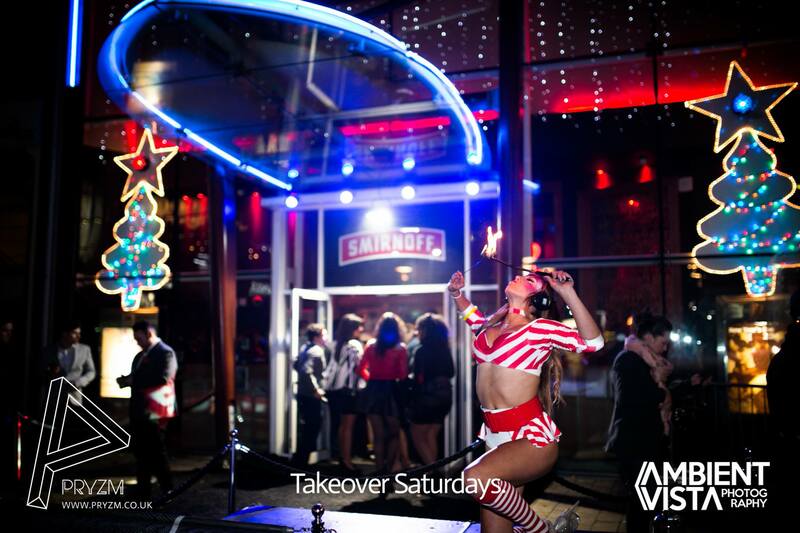 Great entertainment, fun staff and awesome DJs! Great service, efficient booking and delivery and the equipment was really easy to set up. It went down a storm at our youth Christmas ball – in fact I don’t think there was a headset not in use all night! Hired the headphones for a silent disco party for a youth club and it went down a treat! The three channels worked great and the young people had an incredible time! 100% recommend Silent Noize as they are reliable and delivered excellent service! would highly recommend Silent Noize events to anyone organising a silent disco.The guys are very helpful and flexible, and sort everything out for you including delivery and collection. Would definitely use them again in the future. We feel very privileged to have already worked with some amazing festivals including; Glastonbury, V Festival, Carfest, Greenbelt, Lakefest, Rainbow Arena 24 hour rave & Street Party as well as loads of small independent festivals across the UK. We like to make events as easy as possible for our festival clients so we can provide a wide range of services from simple equipment hire right the way through to full event set up & management, DJs and equipment. After live music finishes we find that festival goers want a little bit more. 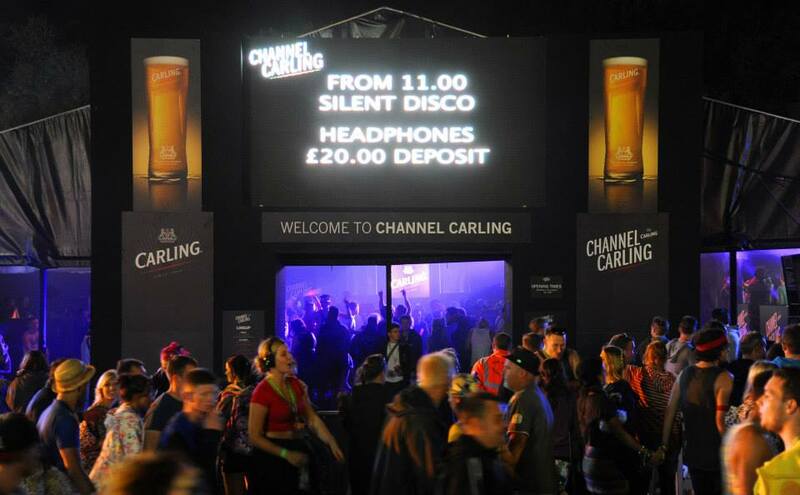 A silent disco is in fact perfect for an after-party, especially when a festival has noise restrictions. The best way to avoid complaints and entertain your audience is to turn off the PA and simply switch to a silent party! For festivals we recommend that a deposit it taken for every headset that is given out (usually £5) and then the deposit is given back once the headset is returned. 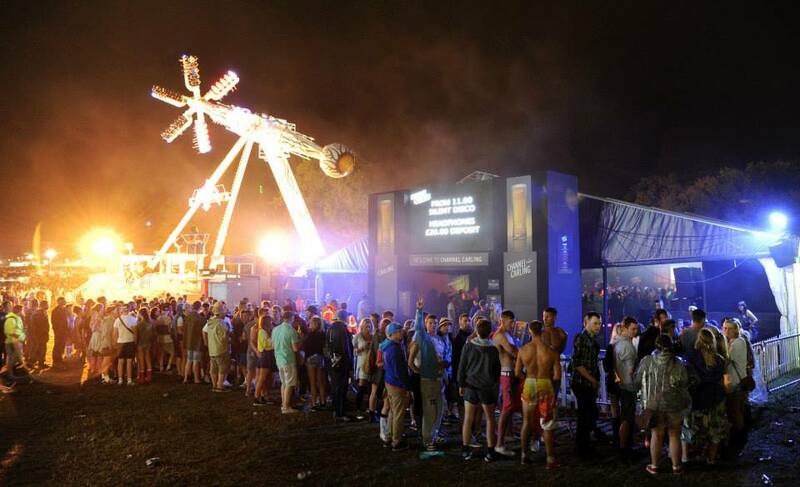 We can also provide experienced staff, cash float & tills to take care of this service throughout your festival. As well as private parties, we often cater for major corporate companies due to our reliability, experience and professionalism within the entertainment & major events industry. Our clients include; Google, Redbull, Blackberry, Nike, Xbox, Microsoft, Smirnoff, GAME, BSI, EE, Cambridge Film Trust, London Fashion Week, Nike, Top Shop, Gatecrasher, London Zoo, Yates, Virgin, Unite the Union, Student Shopping UK. People often don’t realise that our headsets provide a lot more than just fantastic silent parties and discos. 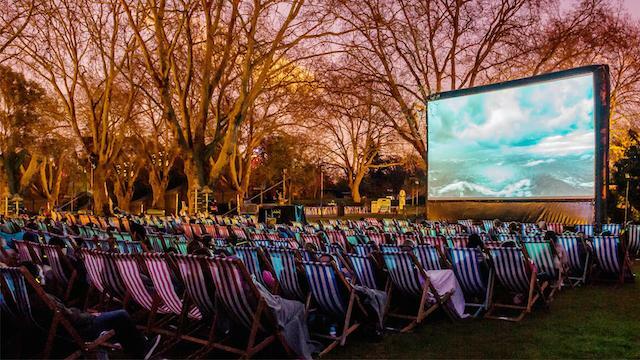 We are frequently asked by companies both large and small to supply our headphones for conventions, museums, outdoor and indoor sports & exercise activities (recently Nike & Limelight Sports), silent cinemas, outdoor cinemas, conferences & medical facilities. Our high quality headsets are great at blocking out outside sounds and interference, keeping your guests focussed on the main event. As well as being wireless, the headsets fit comfortably, can be adjusted easily and have neat padding around the ear pieces and headband. We have wireless headsets with wireless microphones for direct communications which have recently been a major success with sports, museums & conferences around the UK. Feel free to get in contact with us about your event and we will help as much as we can with any special requirements.